I know I have said this before, but I have to say it now. This morning. Now. Last night, we released 26 murderers – cowards, terrorists. The most pathetic of “men.” Really, to call them men is to insult 50% of the world. These are not men by any stretch of the imagination. The government of Israel understands how sickening, how disgusting it is, how painful it is for Israelis to watch the Palestinians celebrate the return of these sniveling things and so it arranged to release them at night. How pathetic, how stupid. Did you really think the Palestinians wouldn’t come out to celebrate because it was at night? Seriously? remains and they are now grandparents.Within 24 hours of that wedding, Avital had to leave the Soviet Union. Three years later, Natan was arrested and convicted for his ongoing activities…mostly centered around maintaining his Jewish identity and trying to leave the Soviet Union to join Avital in Israel (and to get that right for millions of other Soviet Jews). For 13 years, Avital fought for Natan…and Natan fought for Avital and their life together. 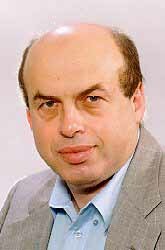 In 1986, Sharansky was finally freed. Avital flew to meet him, and they came home to Israel, where they were greeted by thousands. On July 4, 1976, Israeli soldiers flew to Entebbe and rescued more than 100 hostages. For days, the drama of the kidnapping of an Air France flight had held the world’s attention – but nowhere more than in Israel. The hijackers – German and Palestinian – separated Jew and non-Jew, releasing the non-Jews and holding the Israeli/Jewish passengers. The crew of the jet, though not Jewish, refused to leave their passengers and remained hostages as well. The lives of the passengers were threatened and in a daring raid, Israeli fighters flew over 1,000 miles to rescue them. 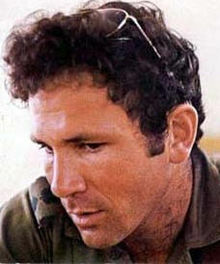 In the battle that followed, Yoni Netanyahu, the leader of the operation, was killed. The only casualty. He had given orders that wounded among the forces were not to be treated until the hostages were rescued – that all focus must be on saving the Jews in that terminal. Yoni was in the front, running towards the terminal where they were held, when he was hit. Within hours, the planes were loaded and flying back to Israel. Thousands met them at the airport and celebrated their return. These are our heroes – Natan Sharansky, Yoni Netanyahu, the passengers of the plane who held on, knowing Israel would never abandon them. For these, thousands come out to welcome them home. The obvious connection here is to compare what Gaza and Ramallah came to welcome last night. I can’t make the comparison – or maybe I have already. For me, I am filled with gratitude that my heroes are men who lived with honor, not cowards who stabbed women and axed men to death. I know the so-called peace talks will continue – personally, I couldn’t even look at these negotiators or be in the same room with them. They sicken me; their culture of death sickens me. There is inside of me a part that thinks our greatest victory, even if the world does not recognize it, is simply that we are not like them.That when we come out in the thousands to welcome someone home – it is for a man who has fought for freedom; a man who has died for others…not killed for his religion. At the end of the day, I would rather belong to a people who mourn the death of Yoni Netanyahu, than one that celebrates the life of Samir Kuntar or the 26 miserable murderers we released last night. I will keep saying this to myself…each time Bibi Netanyahu releases more murderers. To ask the obvious question – how would he feel if someone freed Yoni’s killers is not a fair comparison, though Bibi would readily put forward a politician’s opinion about peace and compromise. Yoni Netanyahu was not murdered; he was not a victim. He was a brave fighter who fell in battle. What pride can a family take in knowing their father, husband, and grandfather was murdered from behind with an axe? They can take pride in his life, the things he valued and loved but in his death? No. And so I’ll say it again – I would rather live with the pain and sadness of this day of surrendering to politics and stupidity, than live in a culture where today they celebrate. If, like me, today angers you and hurts you – just look at our heroes, and look at theirs. May God bless the land and people of Israel with the ability to survive the leadership of those who forget that you can’t buy peace, not even with our blood. In what other culture does the president…kiss an axe murderer? You cannot buy peace with the blood of Jewish children! 58:11 The righteous shall rejoice when he seeks justice; he shall wade his feet through the blood of the wicked. This is Israel’s destiny – and the Arabs do not have even a casual acquaintance with the truth, with decency and with justice! Israel has sinned a terrible sin and must repent or continue in it and the divine punishment will intensify and grow even worse! No good can come of sacrificing the dead of Israel to the god of Molech and his blood-stained hands of evil, violence, treachery and deceit! The Jewish nation needs to return to G-d before things reach the point of no return. They will try to NormanF. Bibi is looking to a Nobel Peace Prize, but in reality if this “Peace” happens Israel will cease to exist in 10 months and all the Jews there will be dead. His brother should rise up from his grave and strangle him.